This is an excellent quality and versatile tencel denim, soft, lightweight, opaque and drapey with a cross weave of black and white for an overall impression of off black or gray. 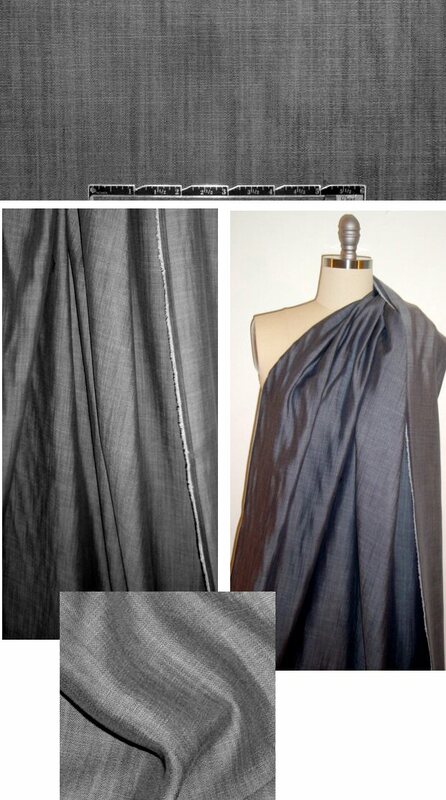 Perfect for any number of casual coordinates that would call for a soft cotton, linen or rayon woven. It's a beautiful quality basic that I guarantee will become your go-to garment for daytime comfort and style. Machine wash cold, hang to dry. The manufacturer does not recommend the dryer, and also mentions that it can be dry cleaned.